Hello everyone! If you are reading this you probably know about the Blog Hop Stamp Challenge/Giveaway going on for Kellie Stamps! Welcome! If you don’t know, please read on! The Kellie Stamps team, Jessica from Color Cast Designs and I thought it would be fun to share some stamping techniques with you all. BEST of all we are having a BUNCH of stamp giveaways! EXCITING NEWS : Today Kellie started a pre-order for the May stamp release. Click here to check out the new stamp sets, “Today” and “Outline It”. There is more, for this weekend ONLY you can use the code : NSDAY2015 for 10% OFF your order, until Monday at midnight (Australia time), which is Monday May 4 at 7am Pacific time. Take part in the blog hop. To do this, hop along to each blog on the list below, leave a comment on each, Kellie Stamps National Scrapbook Day blog post. Join in with our challenge by copying one of the stamping techniques shared by a design team member. Projects must be NEW, no linking to old blog projects. Once you have finished add your link to the linky at the end of the blog post. Links can be to blog posts or images from instagram. You have till Midnight Monday Australia time or Monday 7am Pacific time to take part in both the blog hop and the challenge. Today I’m sharing my challenge of STAMPING PATTERNS! I’ve created several PL cards featuring different ways to use stamps and create various patterns. 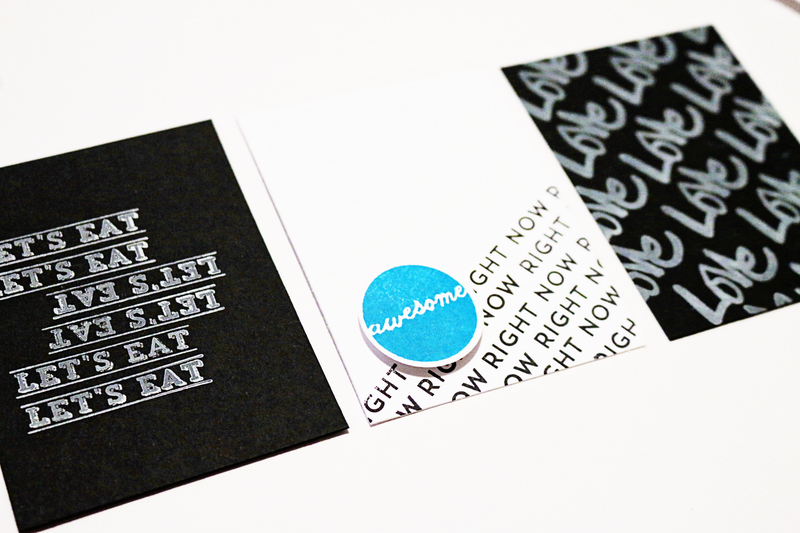 You can use linear stamps (“Let’s Eat”) to create a lined pattern on a card. Slightly shifting alignment adds variety and inverting the image adds even more! Repeating patterns can be used with one stamp (Love card) or by combining stamps (awesome/right now card) to create varied looks. Using a clear stamp block allows you to see exactly where you’re placing the clear acrylic stamps and makes lining them up easy. Another option for stamping in patterns is to essentially create a journaling card by mixing stamps (Today Rocked). By changing the color of “Today” and centering it, the reader sees this first. Then the surrounding “Rocked” pattern links Today and describes the experience! 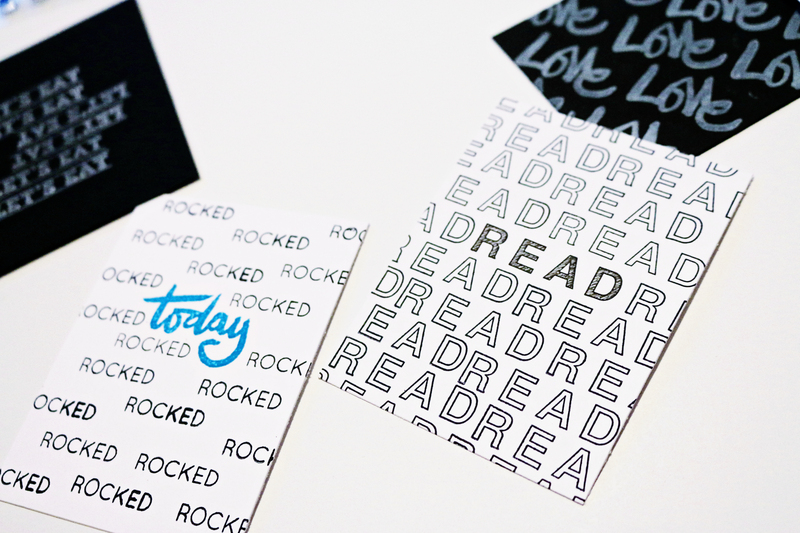 The “Read” card is another example of stamping in patterns. I repeatedly stamped the outline Read all over the card and then colored in the center word. You could combine this method with the previous and color in the center “Read” word, but stamp “More” all around it as another option. The message is then, Read more!! Thanks again everyone for stopping by to check out my stamping technique. I challenge you to try it for yourself and link up your project using the link at the bottom of this post. Happy National Scrapbook Day! Love all the cards. Amazing stamp style !! Love all of them! The ‘read’ card is a really cool technique! Uh these are amazing! I am so going to have to make some of my own. The designer and I never really thought to just make my own when I struggle to find the perfect card. An inspiration Jen! Absolutely fabulous Jen! I love love love the white on black!!!! OH LOVE!! 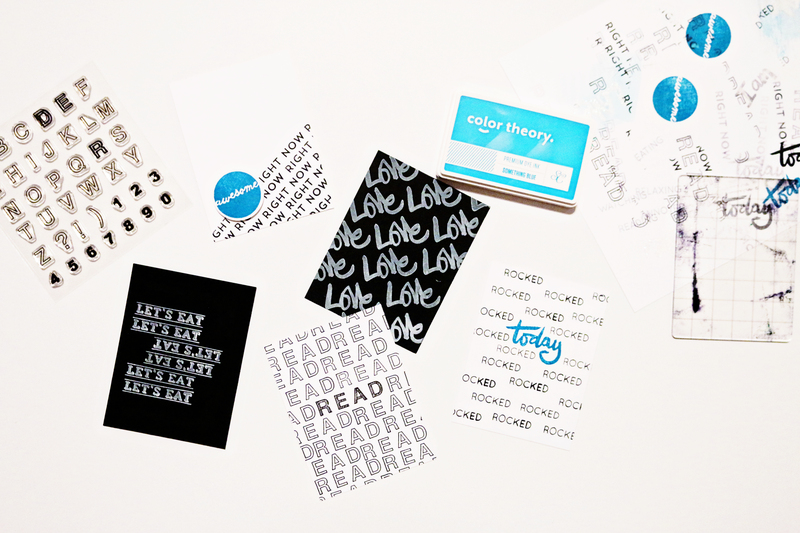 And I need to get the white to stamp on black cards! wowee, fabulous PL cards! love them!! Gorgeous cards. Your READ one is my favourite. Jen, these are fabulous!!! My very favorite colors! So much to love!! gorgeous!! have to try this!!! so simple yet creative way to stamp! gonna try it too! Great cards, loving the blackboard look at the moment. I love this idea to make great filler cards for spreads! I love the white ink on black paper! Got to try!! the cards you made are so cool. thanks for sharing! OMG, I love you Lora, bwahahaha!